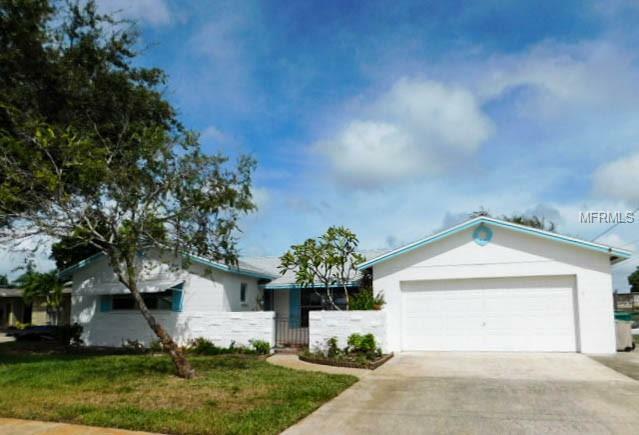 Great Central Merritt Island waterfront home with boat dock/lift, large family room overlooking water, eat-in kitchen w/dinette area, formal living & dining rooms, master suite & large guest bedrooms. Big backyard with northern view for the launches & side yard with parking pad! Grand canal that leads to Sykes Creek - a Boater or Fisherman's Paradise! Located in the heart of Merritt Island with great access to shopping, schools, dining & everything the Island has to offer! Just minutes to world famous Cocoa Beach, Port Canaveral & more! Easy commute to the Space Center & just a short drive to the Orlando International Airport & all the Orlando Attractions! Listing provided courtesy of Daignault Realty Inc.